-> Click to download Switcher Media Manager! With Switcher Media Manager, you can send a recorded composition to your computer wirelessly and even open it up in Final Cut Pro to make edits to your video. This will allow you to make changes to the cuts and edits that you made on the fly, giving you a more polished final product. 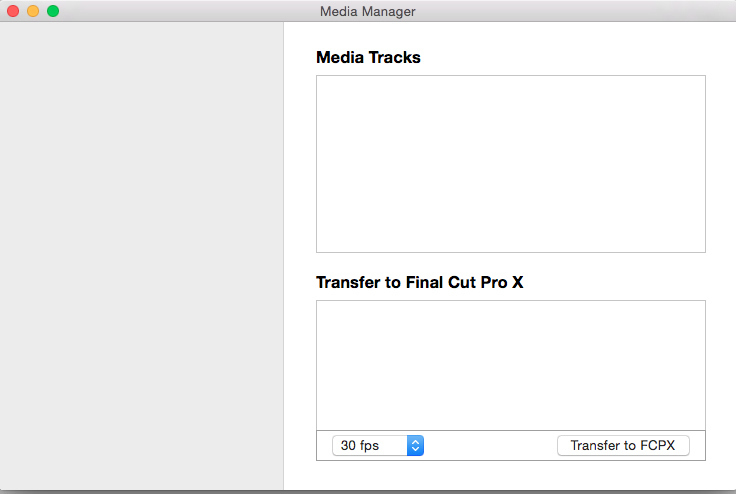 Note: Switcher Media Manager works for Final Cut Pro only. We do not have integration with Adobe Premiere or Sony Vegas at this time. 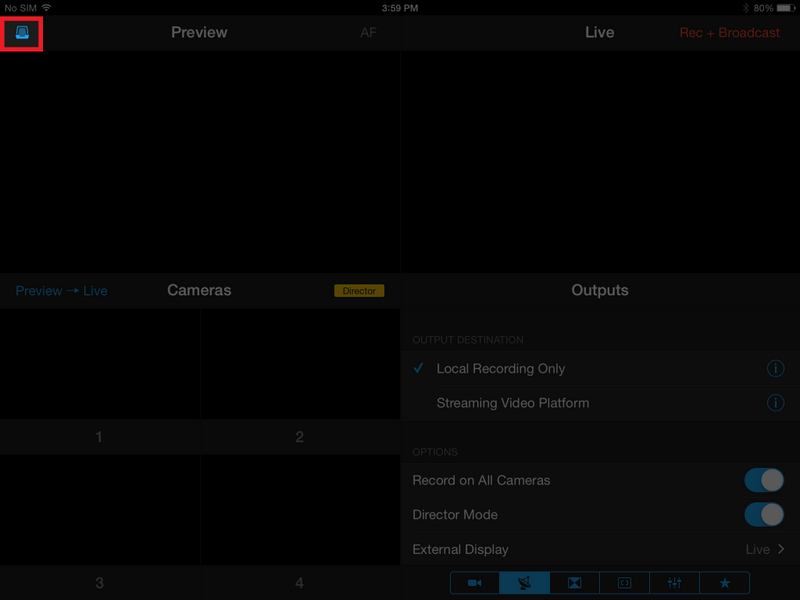 Also Note: Footage recorded with 2-way video chat will not be available within Director Mode footage! To start using Switcher Media Manager, connect your main mixing device to the same network as your Mac. Launch Switcher Media Manager on your Mac. Launch Switcher Studio on your main mixing device. Tap the media bin icon in the upper left. 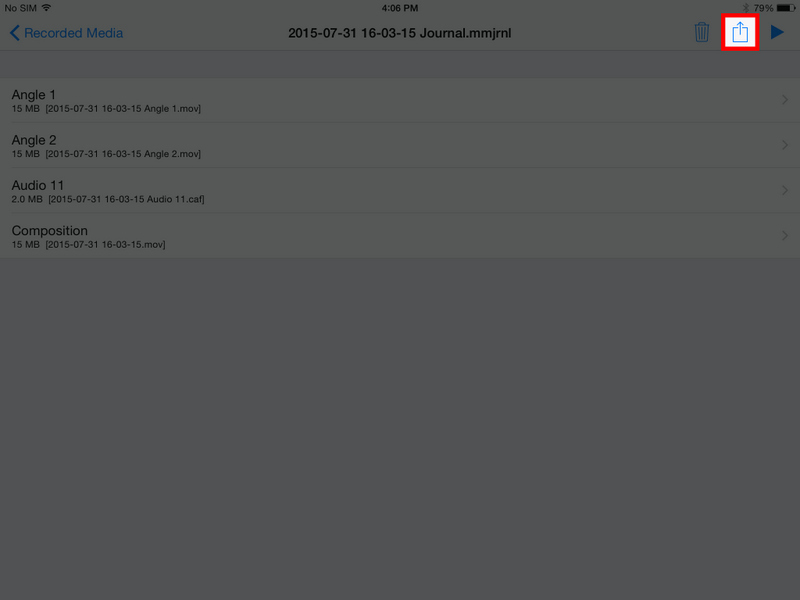 Tap the Journal entry that you wish to import. Select the upload icon in the upper right. 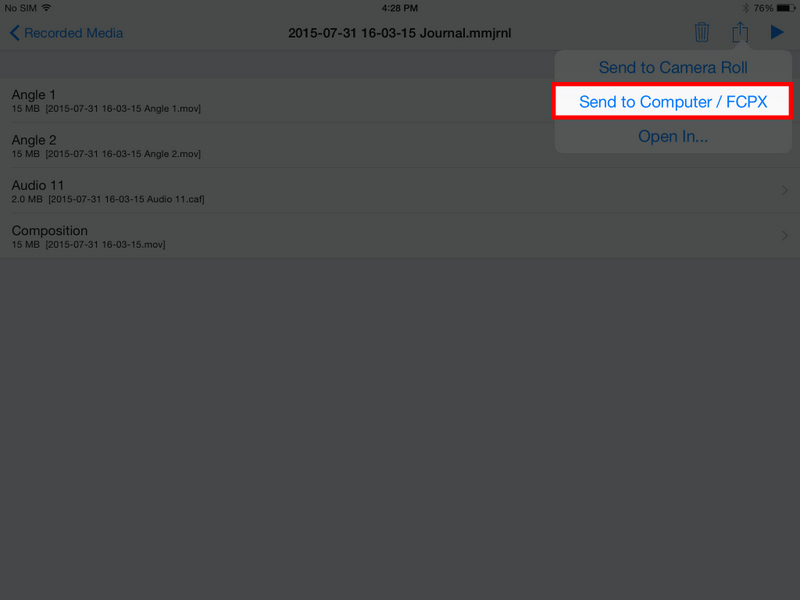 Select “Send to Computer / FCPX". Choose the computer you wish to send the file to, and the transfer will begin. 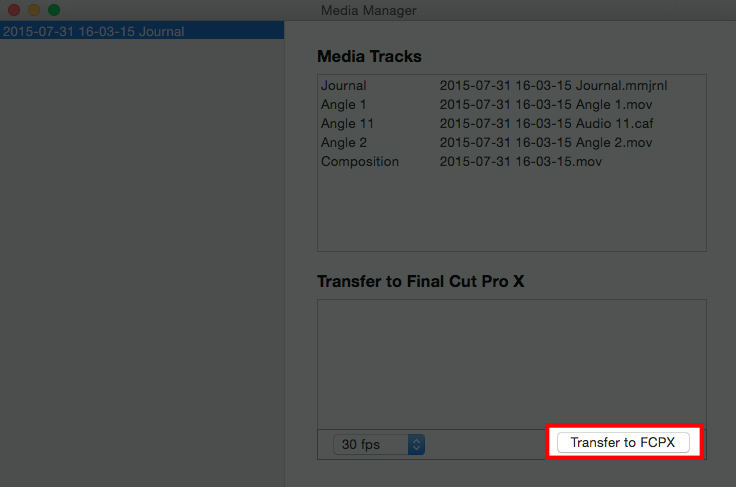 When the transfer finishes, the file will show up in Switcher Media Manager. Select it to reveal all of the tracks. 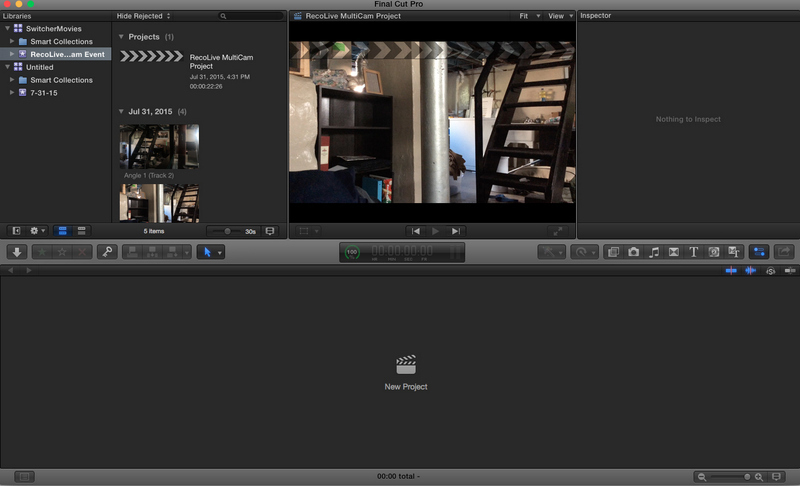 The files will now be editable in FCPX. 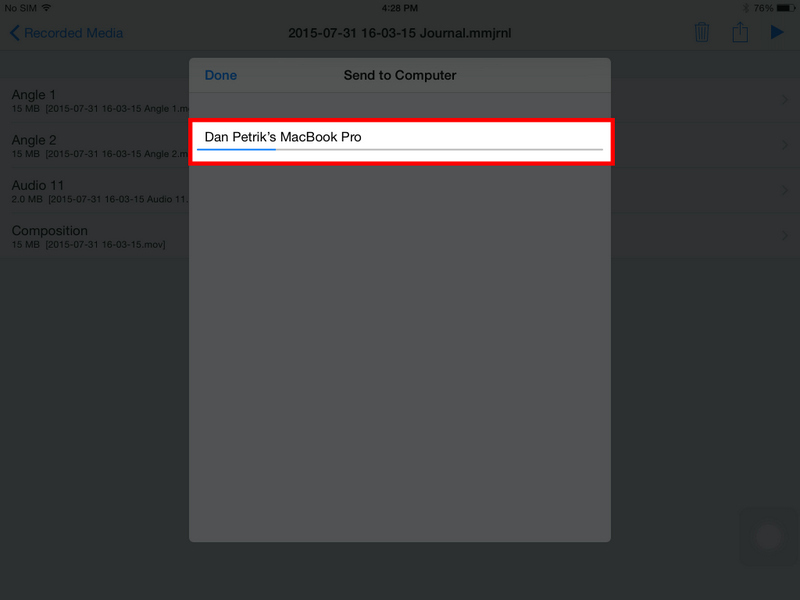 Files can also be directly accessed through the Finder. To access files directly, navigate to your profile in the Finder, go to the "Movies" folder, and find the folder titled "RecoLive Video". 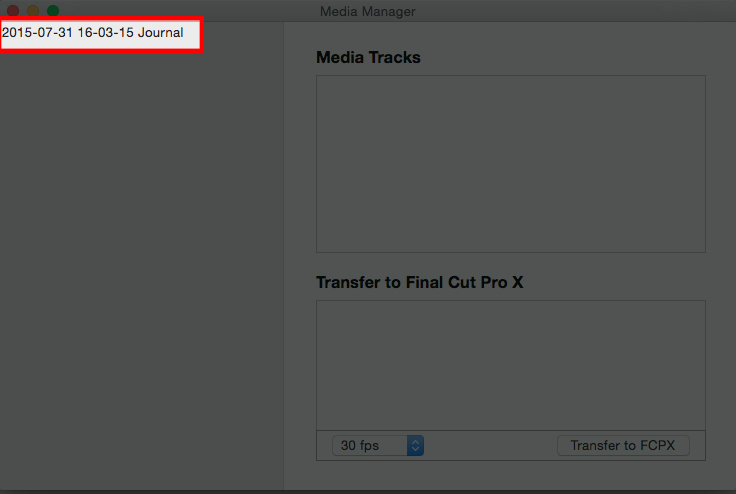 NOTE: Switcher Media Manager only supports a single journal file import at this time. Be sure to clear out files in the "RecoLive Video" folder between sessions and/or imports.